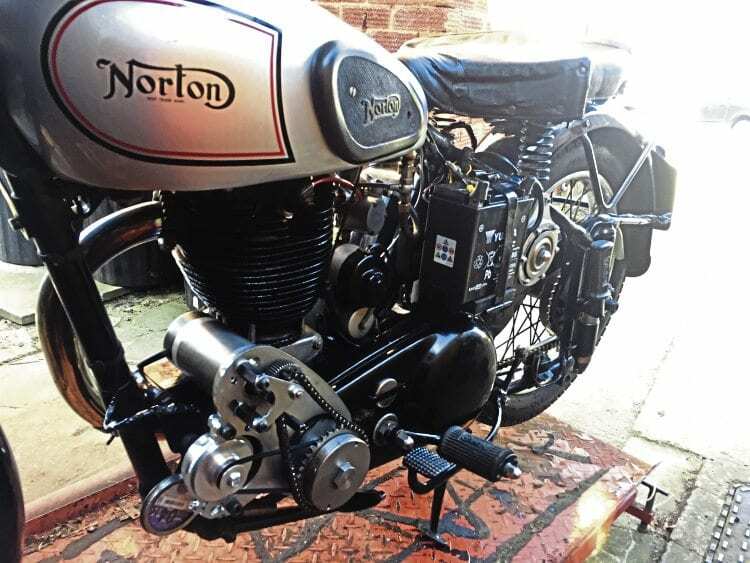 In order to give himself more opportunity to ride his classic, Graham Mudway tells us how he fitted an electric starter on his Norton ES2. 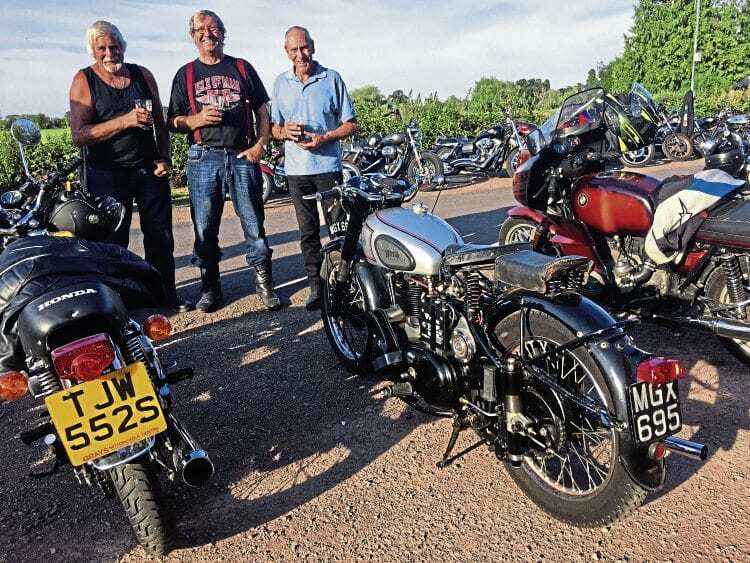 It was part designed and completely installed by my friend, Fred Smith, who is a past chairman of the Cotswold Vintage Motor Cycle club. I purchased the starter online from Alton, as a kit originally intended for Velocette singles (Thruxton, Viper and Venom) that incorporates a starter and a new 12v generator. Alton are a French company, with a number of UK distributors, and they advertise regularly in OBM! Clearly, as it was a kit intended for a Velo, it wasn’t going to be a simple bolt-on affair, and Fred informed me of the following detail required to install the unit. The distance between the starter and the ES2 crankshaft is about 30mm more than the Velocette so, after cutting a hole through the outer chain case, an aluminium disc with a sealed bearing was fitted to the chain case to make it oil tight. A mid-ride break is all the more leisurely when you know you don’t have to exert yourself on the kickstart to go home! The crank sprocket was modified to drive the splined shaft which supports the sprag clutch, and a through bolt made to hold it on the crank. The Alton back plate was then screwed to the aluminium disc, with spacer nuts attached to the crankcase bolts connecting the plate to the frame. The starter motor was then fitted with its chain, and the generator with its belt. The solenoid is hidden in the toolbox and starter button on the handlebar.